If you are a looking to purchase an immunoassay analyzer for your laboratory, or to replace an existing instrument, this guide provides important information to help you make the right decision. Learn about the different types of immunoassay technology, automation options, disease state assays and other important considerations. The development of Immunoassays – tests involving the use of antigen and antibody complexes to produce a measureable result – began in the 1960s with the use of radioimmunoassay (RIA). These assays are still used today. However, due to the practical complications involved in handling and disposing of radioactive materials, enzyme immunoassays (EIA) are more frequently used in the clinical laboratory. The Enzyme Linked Immunosorbent Assay (ELISA) is a commonly used type of EIA that combines an enzyme-antibody label reagent with a solid phase bound antibody. Immunoassays are used in clinical diagnostics to identify detect infectious diseases, and also to quantify disease biomarkers. In the 1980s and 90s, major advances were made in the automation and sensitivity of immunoassays; these technologies have shaped the variety of automated immunoassay analyzers on the market today. This guide will discuss the available technologies, and highlight some of the advantages and disadvantages of utilizing them in the clinical laboratory. There are a variety of different types and formats of immunoassays. Homogenous immunoassays are often relatively simple as they require only one stop, mixing reagents and sample, before taking a measurement. Heterogeneous immunoassays may be run in multiple steps, with the addition and washing away of reagents, or the separation of the bound immune complex. Ab-Ag complexes in immunoassays are detected using labeled material. The label reacts in the assay so that a change in signal can be measured. The measurement of labels may be carried out in a competitive or non-competitive format. Analyte measurement is achieved using either a competitive or non-competitive format. In a competitive assay, unlabeled antigen in the patient sample is measured by its ability to compete with labeled antigen present in the immunoassay. If the unlabeled (test) analyte is occupying the antibody binding site, the labeled antigen is unable to bind; so less labeled antigen measured means more unlabeled antigen present (inversely proportional). Non-competitive assays are also known as sandwich assays; in this format the analyte is bound between highly specific antibody binding sites. Sandwich assays can be processed in either one or two steps. If a two-step method is utilized, wash steps are included to remove excess unbound reagents. Because the two-step method removes possible interfering substances, it is highly specific and sensitive. The amount of labeled analyte (most often antibody) is directly proportional to the amount of antigen present in the patient sample. The first automated systems for immunoassay processing were robotic systems that could utilize 96-well plate technology. These systems were programmable on an assay by assay basis. The first automated systems were released in the early 1980s, and these were capable of organizing batches and automating runs. Modern automated immunoassay platforms range from small, robotic ELISA systems to large, random access, high throughput analyzers. These systems utilize a variety of labeling and detection methods. If you are looking to run a variety of ELISA assays, there are a number of automated system options on the market. Depending on the assays you wish to run, you will need to choose between an open or a closed system. A closed system will only allow you to use reagents and assays from the supplier of the system. If you are looking to run a specific range of ELISA assays, then a closed system might be a viable option. Closed systems do not offer the flexibility of open systems, and can be costly to modify. However, the installation is usually organized by the vendor and the system is ready to use upon installation. It is important to consider whether you are likely to expand the range of tests offered in future years, and whether the system that you purchase could accommodate such an expansion. Open systems enable you to run a variety of different assays, using a variety of reagents. This set-up gives a larger amount of flexibility to the laboratory. The disadvantage of open systems is that they require significant work and validation on the behalf of the laboratory, when deciding which assays to use. With regards to automated systems, most RIAs have been replaced by ELISA tests. Although RIA assays show extremely high sensitivity and specificity, they also require specialist equipment, precautions and licensing. For laboratories that process RIA, automation of the analytical workflow process may be desirable. Figure 2: The Tecan Freedom Evo can be integrated into RIA workflow solutions to automate the liquid handling process, distributing samples into reaction tubes. Fluorescence assays use fluorescent labels to detect immune complexes formed during the biochemical reaction. Fluorescence assays have the advantage of showing high sensitivity, which can be achieved using relatively simple reagents and assay designs. Common fluorophores include fluorescein and rhodamine. A number of modern systems use fluorescence polarization, a type of homogeneous competitive fluorescence immunoassay. In this assay, the change of polarization of fluorescent light, emitted from the labeled molecule when it binds to antibody, is measured. Chemiluminescence is an immunoassay technique in which the label used emits a light during a chemical reaction. This light emission is measured to give a quantifiable result. Chemiluminescence techniques are widely utilized by large diagnostic manufacturers, as they provide highly sensitive and precise analyte detection in both competitive and non-competitive formats. They also have the advantage of short incubation times and of being economical to run compared to some other immunoassay methods (such as ELISAs). The luminescence chemistries used vary between manufacturers and include acridinium ester and acridinium (N-sulfonyl) carboxamide labels (Abbott Architect), and 1,2-dioxetane substrates (Beckman Coulter, Access 2). Labels are often patented, and so luminescence results can vary from supplier to supplier. CLIA’s have the advantage of short incubation times, being economical to run compared to some other immunoassay methods (such as ELISA’s) and high sensitivity. Watch video: Workflow IVD Solutions Premiered at AACC 2015: Franz Walt, President, Laboratory Diagnostics, Siemens Healthcare Diagnostics, discusses the latest developments in clinical workflow solutions at the AACC Clinical Lab Expo, 2015. Turbidimetry immunoassays measure immune complexes by passing a beam of light through the particle solution. The amount of light that passes through the solution decreases as the turbidity of the solution increases. Turbidity immunoassays can be performed alongside routine spectrophotometric assays, as both methods require the solution being measured to be at the same degree of angle from the light source. Thus the advantage of turbidimetry immunoassay techniques is that they can be carried out on a standard, high throughput chemistry analyzer. Immunoassays are used to quantify proteins, hormones and antibodies in order for clinicians to identify and assess stages and progression of disease states. Modern immunoassay analyzers are capable of providing highly sensitive and specific, quantitative results for large numbers of samples. There are analyzers suitable for every sized laboratory, from small point-of-care systems to large, high throughput, automated platforms. The following is a summary of some key areas of disease state analysis that have been transformed by the automation of immunoassay testing. Bone Metabolism – immunoassays can be used to assess diseases such as osteoporosis, osteomalacia and hyperparathyroidism, all of which affect bone metabolism. Specific assays include calcium, vitamin D, parathyroid hormone (PTH), osteocalcin and human growth hormone. 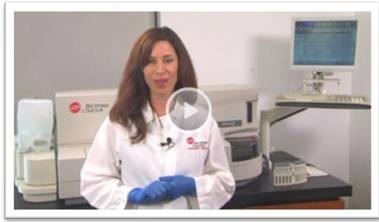 Figure 8: The Beckman Coulter UniCel® DxI 600 Access® Immunoassay System includes a bone metabolism panel. Cardiovascular Damage - cardiac health is frequently assessed by means of assays such as troponin, creatine kinase (CK-MB), C-reactive protein (CRP), digoxin and myoglobin. Effective management of cardiovascular disease using these tests has a significant impact on patient survival and management, as it allows clinicians to make fast and accurate risk assessment and diagnoses. Endocrine Hormones – endocrinology was revolutionized by the introduction of immunoassays. Modern immunoassays are able to give quantitative results for thyroid disorders e.g. thyroid stimulating hormone (TSH) and parathyroid hormone (PTH); and fertility assessments e.g. follicle stimulating hormone (FSH), testosterone, prolactin and progesterone, to name a few. Figure 9: The Siemens IMMULITE® 2000 Immunoassay System offers a comprehensive endocrinology assay menu. Anemia - Immunodiagnostic results can be extremely helpful in supporting a diagnosis for, and determining the underlying causes of, anemia. Vitamin B12, ferritin and folate are often starting points for anemia investigations, as well as erythropoietin (EPO) and intrinsic factor antibodies (IFA). 1. Does it represent value for money? 2. Is it fit for purpose? 3. What are the ‘whole life’ costs? 4. What are the service costs? 5. Is it flexible and easy to operate? 6. Is the product of high quality? What are the throughput capabilities of the analyzer/ system? Will it be high enough to allow the laboratory to meet its expected turnaround times? Is there a STAT mode for urgent samples? A more expensive analyzer may prove to be more cost-effective in the long term if, for example, the reagents are cheaper and the turnaround times are faster. A small laboratory might be best served by a standalone, bench-top analyzer running specific tests, whereas a high-throughput hospital lab may benefit from a total automation solution in which the immunoassay system is combined with routine clinical chemistry testing as part of a total automation solution. It is wise to consider how the laboratory may expand over the coming years. What are the projections for sample numbers over the life of the analyzer? Which additional tests will the laboratory offer in a few years time? Are there plans for future automation or development of a multi-disciplinary laboratory? It may be worth investing in an analyzer or system that already has the capabilities that you will require in the future. The purchase of a new analyzer is often a good time to assess LEAN methodologies. LEAN principles can help to guide the choice of equipment and determine whether processes really would be optimized by total automation, or whether a reworking of existing procedures would suffice. Read more about the LEAN process in our Clinical Laboratory Automation eBook. The purchase of a new analyzer requires considerable thought, planning and assessment of the laboratories or clinic’s needs and requirements. It is wise to identify these requirements before drawing up a shortlist of analyzers that have the potential to meet your requirements. Purchasers should conduct a thorough comparison of analyzer capabilities and balance this with the all-important issue of price before making a decision. You can view our full immunoassay product directory and product reviews here. This guide is not inclusive of all immunoassay analyzers available on the market. Not all systems are available in all countries. "The results are very accurate and software provided makes the analysis and data storage / maintenance quite comfortable. I strongly recommend to other researchers and physicians." "I worked with this immunoassay device and it is very easy to use. The results are very easy for interpretation...."
"This is the best immunoassay analyzer on the market. It is easy to use, reliable and very fast. The maintenance is straightforward and takes minimal time. Plus the assay performance is good. " "From the beginning the Beckman Coulter team demonstrated their commitment to their customers. Sales, applications and the support were all excellent, timely and relevant..."
"We are using it for our special chemistry and clinical chemistry parameters. We found it highly reproducible and a sensitive piece of technology." "It's immensely useful in a medium-large laboratory with high-throughput. I recommend the machine without any reservations, to any laboratory...."